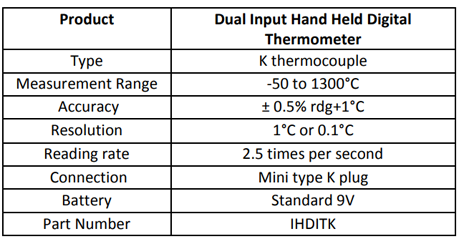 The IHDITK is an easy to use hand held digital thermometer for use with type K thermocouples. 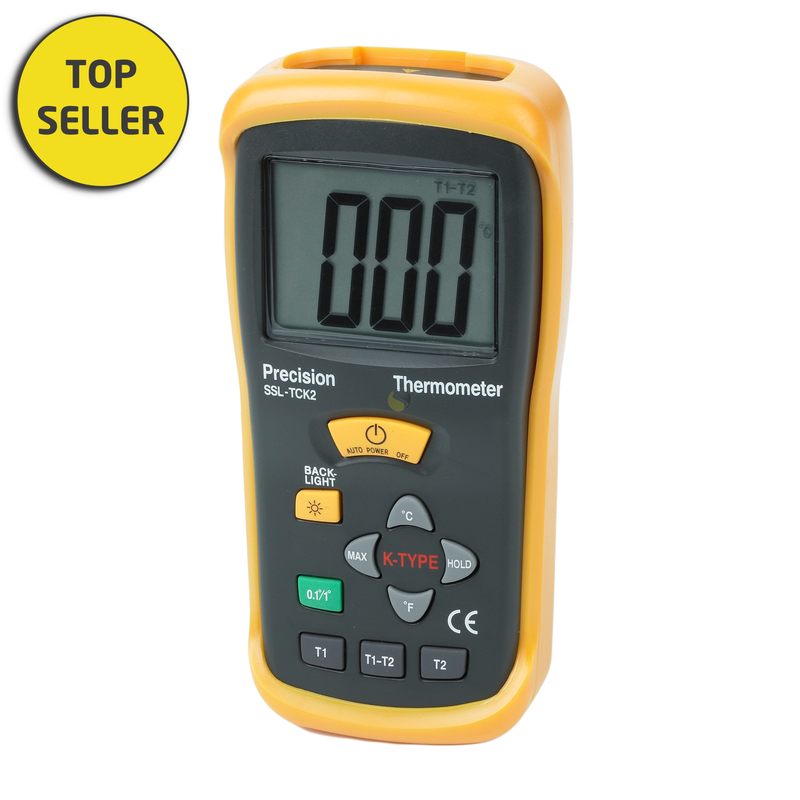 Capable of displaying temperatures from -50 to 1300°C, it has a dual input that accepts miniature thermocouple connectors for display of T1, T2 or (T1-T2). The unit is °C/°F selectable with maximum reading/display hold functions and includes a protective rubber boot.